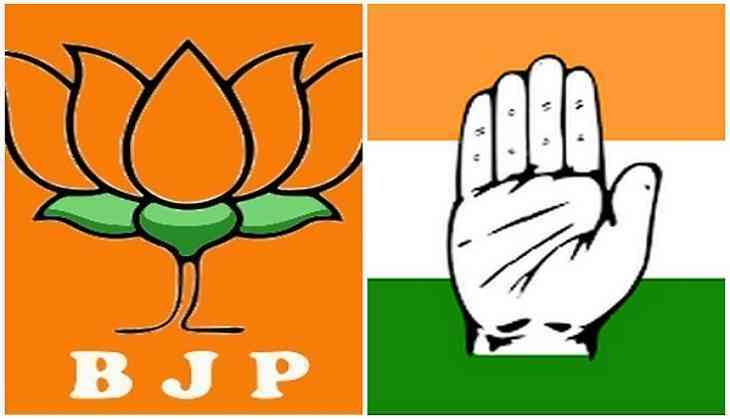 The Bharatiya Janata Party (BJP) on Monday claimed that the Congress party scrapped the Rafale deal with France as United Progressive Alliance (UPA) chairperson Sonia Gandhi's son-in-law Robert Vadra's company was not accepted as a 'middleman'. Union Minister and BJP leader Gajendra Singh Shekhawat, while addressing a press conference, said that in order to take revenge for the same, the Congress is working hard to jeopardise the deal finalised by the National Democratic Alliance (NDA) government. "The Congress intended to make arms dealer Sanjay Bhandari and Robert Vadra's company as a middleman in the Rafale deal. But when this did not happen, they scrapped the deal and now they are trying to take revenge for the same by jeopardising the deal finalised by the NDA," the BJP leader said. Shekhawat further alleged that the Congress is politicising the Rafale deal and is taking help of foreign forces to remove Prime Minister Narendra Modi from power. The Rs. 58,000 crore controversial deal was signed by the NDA government in 2016 after scrapping negotiations made by the UPA government earlier. The UPA's original plan was to buy 18 off-the-shelf jets from France's Dassault Aviation, with 108 others being assembled in India by the state-run Hindustan Aeronautics Limited (HAL) in Bengaluru. The controversy over the Rafale jet intensified after former French president François Hollande, in an interview to a French media house, claimed that the France government had no other option but to choose Reliance Defence as an offset partner for Dassault Aviation.